Taper weeks make everyone crazy. 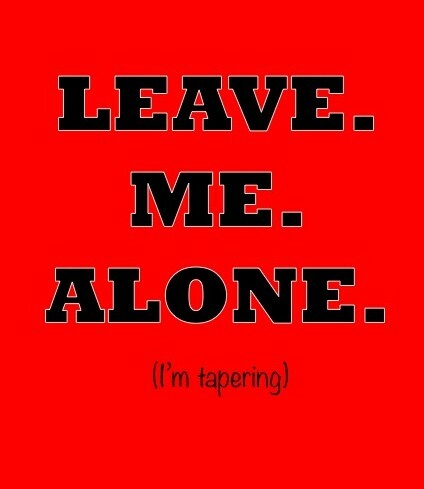 You, your spouse/boyfriend/girlfriend/parents/dog–everyone gets a little nuts during taper time. I get it. It’s tough. You’ve just put ALL this effort into 12, 14, 16, 52 weeks of training and run ALL these long runs and logged ALL those hours aaaaaaaaand now it’s done. But it’s good to start thinking about your body during taper time as a bank. You can make a bunch of deposits to use during your marathon or only a few. What you do NOW will determine how you do on race day. 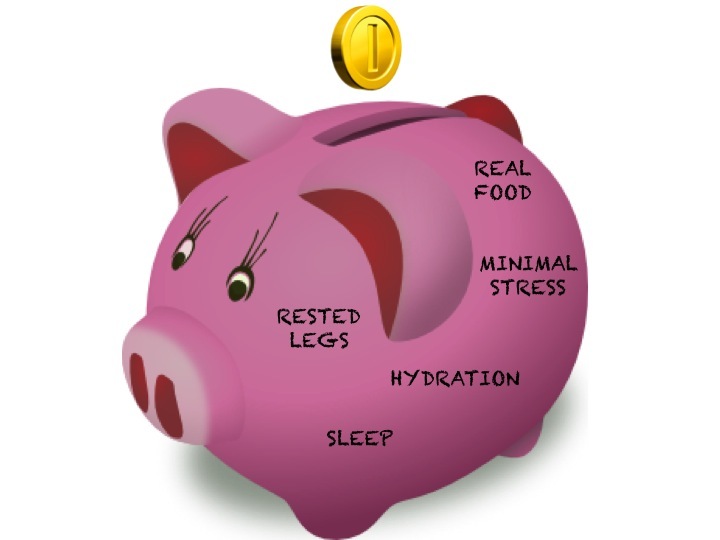 Your race day piggy bank. Getting a solid night’s sleep EVERY night. Keeping stress (physical and otherwise) to a minimum. You could run yourself into the ground with all your newfound spare time. You could finally take your friends up on those happy hour drinks you’ve avoided since training started. You could continue to eat as though you’re running 60+ miles a week. You could bank that time, stay in on a Friday night for 2 more weeks, and push back away from the table and put those deposits in your body bank for the Big Day. Yeah! Thumbs up for race day! Your choice. And life is full of choices, right Obi-wans? PS. 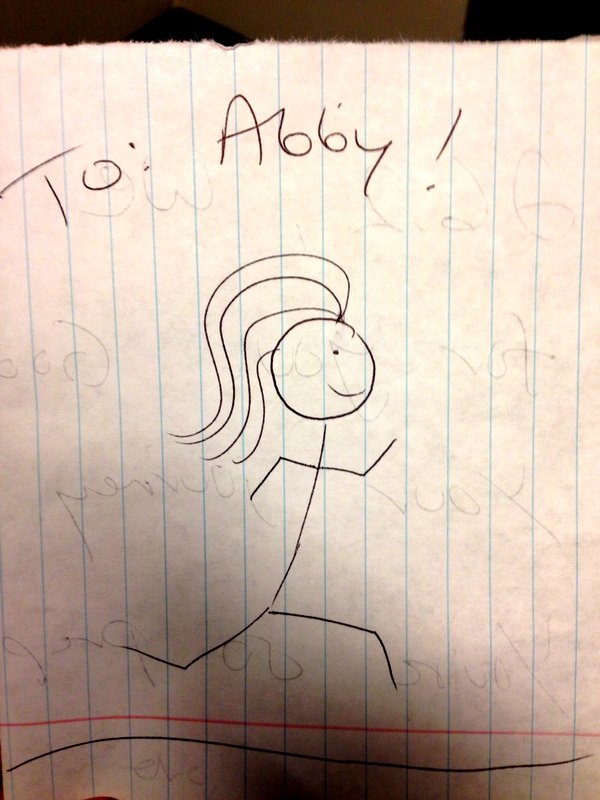 Best drawing of me running ever, right? This was the perfect post for me today! I read it just before going on my last long run before the big day and it reminded me that all the other stuff- eating properly, sleeping- is part of training too! 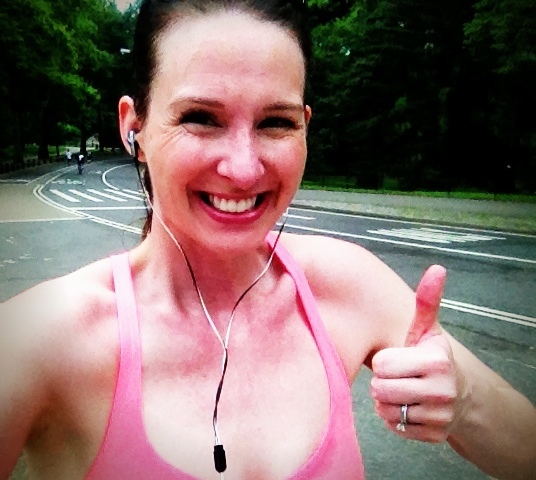 I held myself back from kicking too hard in my run, too, thinking about all of that.